Happy Monday, all! I hope you had a good weekend, and cheers to it being Christmas week! 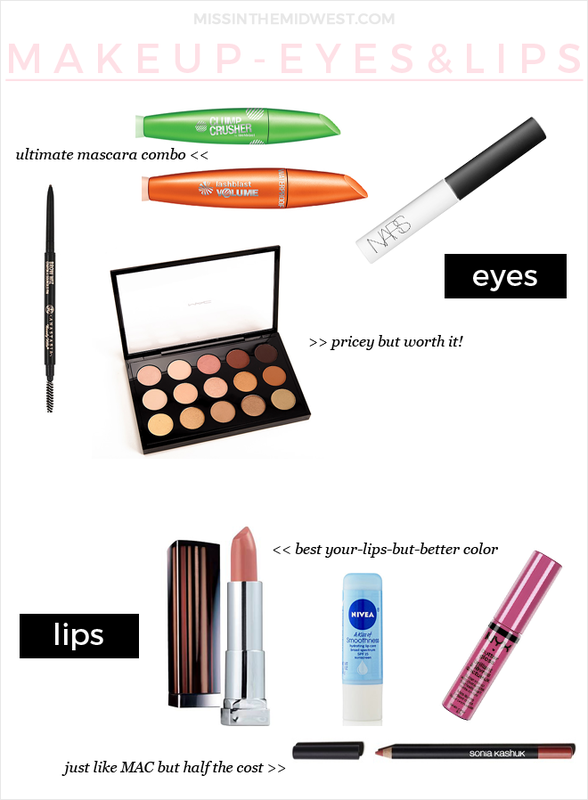 I’m back today with the third installment of my best in beauty series, and we are chatting all about eyes and lips. 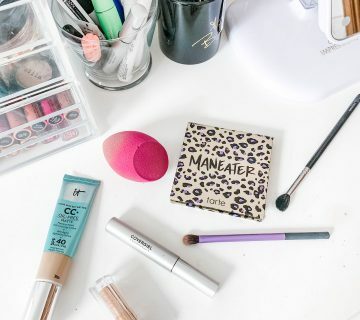 This is a category that tends to not drastically change for me as far as favorites go, but I was lucky enough to discover a few new fabulous products this year, as well as continuing to reach for tried-and-true holy grail items. Eyebrow Pencil | While there are plenty of good drugstore options available for eyebrow pencils (such as this one and this one), I always still come back to this higher-end product. The color is a perfect match for my brows, and the formula is one of the easiest to work with. 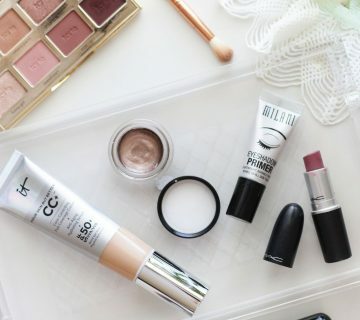 Eyelid Primer | I exclusively have used this lid primer for a few years now, and I can’t imagine ever using something else. For someone with extremely oily lids, I can attest to the fact that this primer makes my eyeshadow last all day with zero creasing. Eyeshadow Palette | I am so glad I finally started to experiment with this palette this year after receiving it as a gift last Christmas! I don’t own any other MAC shadows besides these, but I can understand why everybody loves them. The color payoff is amazing, and they blend like an absolute dream. I’ve created both daytime looks and more dramatic nighttime looks with this palette, all of which always end up flawless. I am hoping to get this palette’s sister as a gift this year! 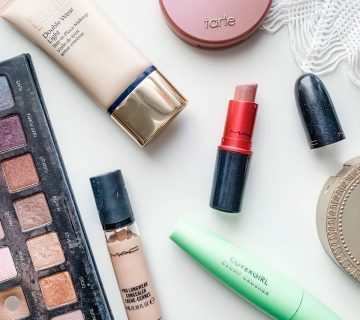 Lengthening Mascara, Volumizing Mascara | I’ve talked about and raved about this combination of mascaras before, so I won’t go on another rant about it. I still use this combination daily, starting with the lengthening formula and finishing with the volumizing formula, and I love how open this combination makes makes my eyes look. Lip Liner | This was one of my favorite finds of 2015. These lip liners are reminiscent of the ones by MAC but for half the cost. There’s a decent range of colors to pick from, and the formula stays put and doesn’t feather out. Lipstick | Maybelline lipsticks always have been some of my favorites but the discovery of this color in particular was practically life-changing. (Okay, not really, but you feel me). I wear this lipstick almost everyday or when I don’t feel like thinking too hard about what lipstick to reach for – it goes with everything! Lip Gloss | I’m glad that I finally joined the bandwagon and tried out these popular glosses this year – they are incredible! I love the color payoff that they provide so I can throw it on bare lips and still feel put together. Lip Balm | Another longtime favorite, nothing beats these affordable lip balms. The blue tube is my favorite for year round, but the Milk & Honey flavor is another great option. Next week, I’m wrapping up this series with my favorite hair products from 2015! 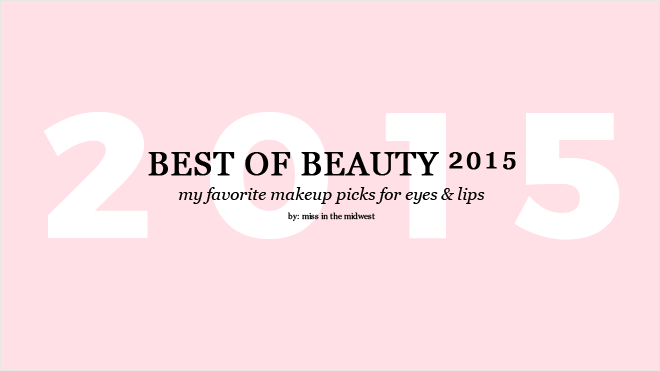 Tell me: what were your favorite eye makeup and lips products from the year?